 The free award-winning DJ app to mix music, create and remix songs. Mix music, remix your favorite songs from Spotify or your own music, make great mixes with this free DJ mixer. 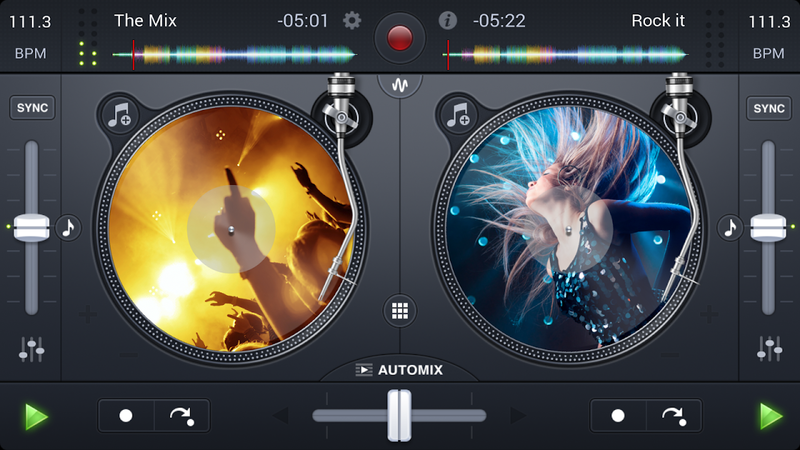 Mix hits on the turntables weather you’re a pro DJ or a starter. 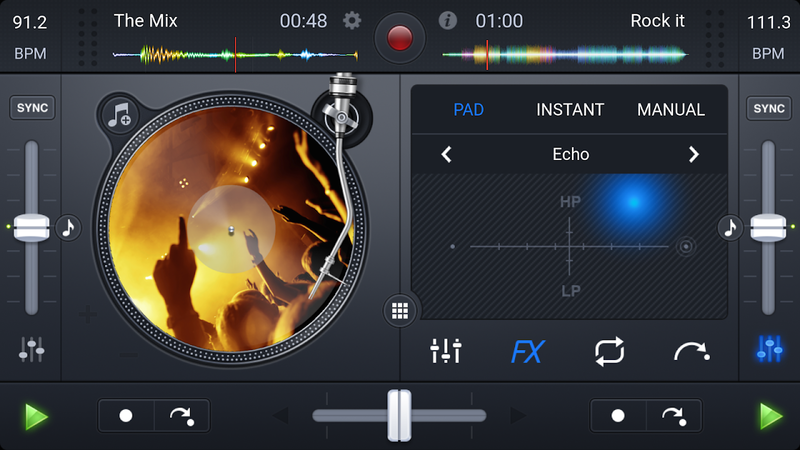 Introducing djay FREE - the world's best selling DJ app is now free on Android! 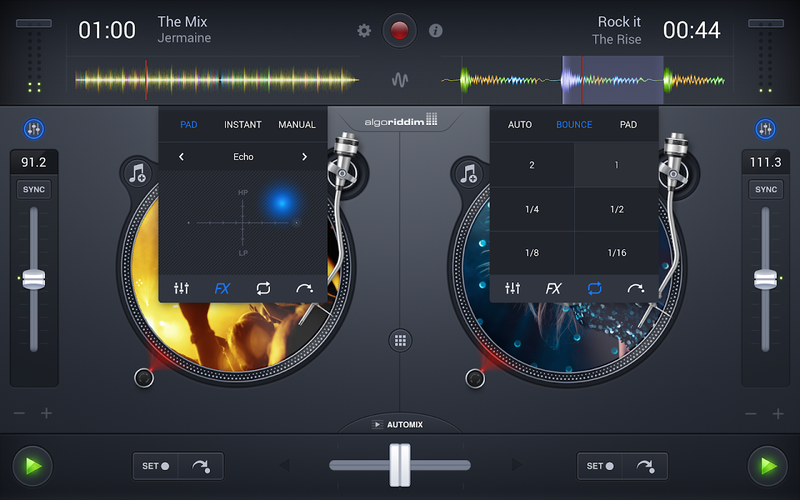 djay transforms your Android device into a full–featured DJ system. 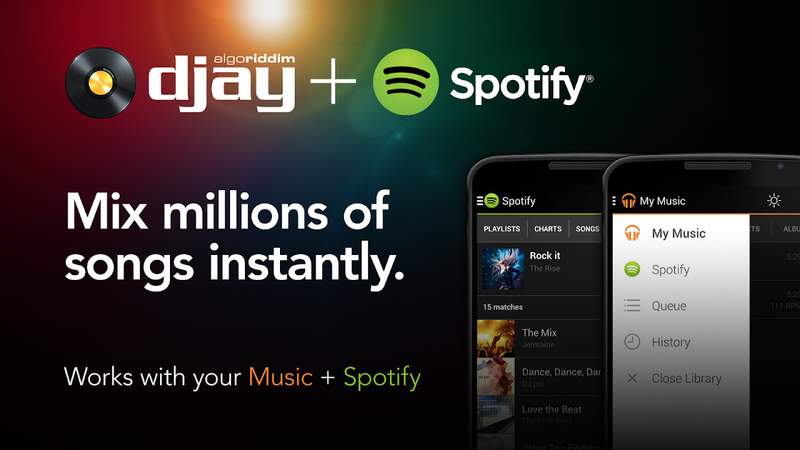 Seamlessly integrated with Spotify and all the tracks on your device, djay gives you direct access to mix and remix your favorite songs and playlists instantly. You can perform live, create loops and apply stunning FX in real-time. 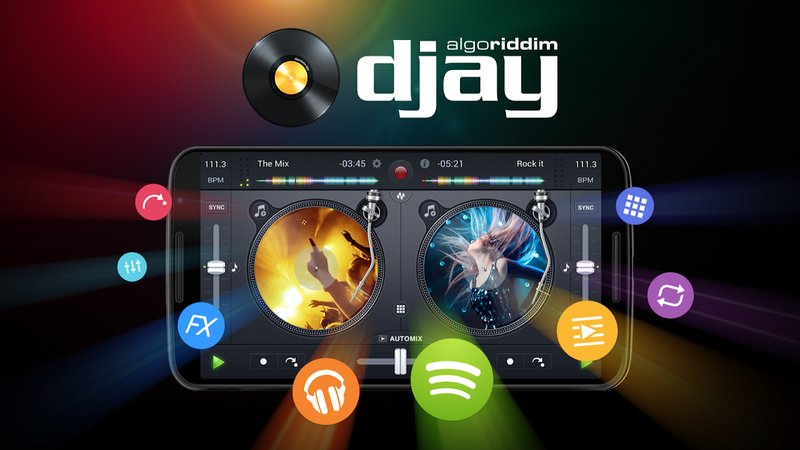 Whether you are mixing professionally or a beginner who just loves to create music, djay offers you the most intuitive yet powerful mixing experience on an Android device. FEATURE HIGHLIGHTS • Spotify integration: mix and remix millions of tracks instantly • Music library integration (mix all files and create your own remix, no access to Google Play Music) • Match: intelligent song recommendation engine powered by The Echo Nest. Create a remix of your favorite tracks with intelligent song recommendations. 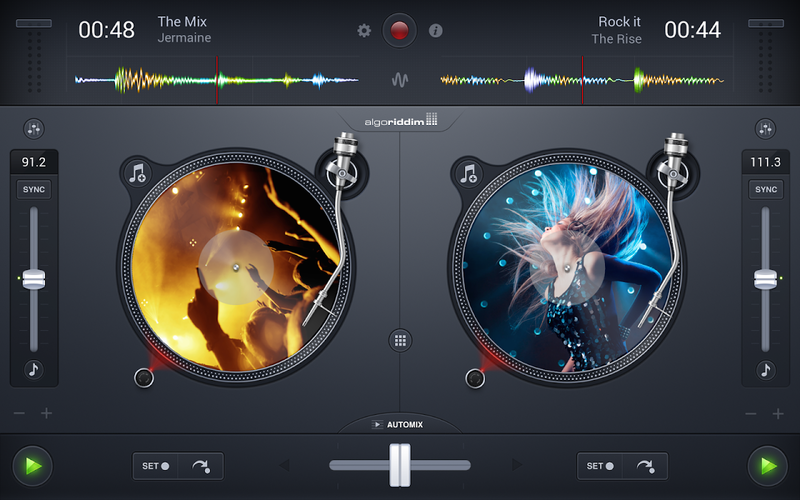 Music selection and mixing has never been easier and more fun. • Audio FX: Flanger, Phaser, Echo, Gate, Bit Crusher (create your own sound) • Mixer, Tempo, Pitch-Bend, Filter and EQ controls • Looping & Cue Points • Single Turntable portrait mode • Advanced time-stretching (requires quad-core Nexus device) • Automatic beat & tempo detection • Auto-Gain (allows seamless mixing at same volume levels between the left turntable and the right turntable) • Support for all major audio formats • Support for Bluetooth devices • Support for MIDI Controllers and audio interfaces (Pioneer DDJ-WeGO3, Reloop Beatpad) Watch DMC Champion DJ Rasp mixing on djay for Android: http://youtu.be/OhBJnDUxMEU Spotify integration requires Spotify Premium and an internet connection, a FREE trial is available.  Is djay FREE - DJ Mix Remix Music yours? Claim it!